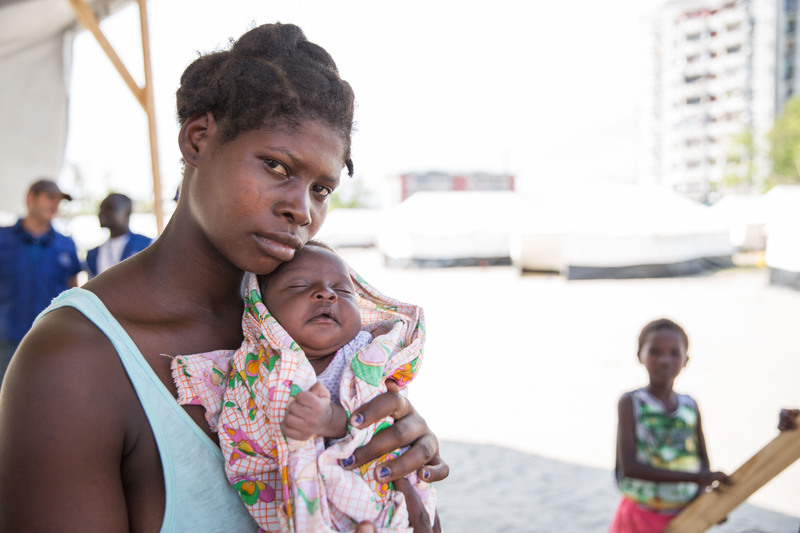 Beira – One month after Cyclone Idai made landfall through Mozambique and neighbouring countries, despite the concerted efforts of humanitarian organizations, many families remain in need, and without assistance they lack the resources to repair and rebuild their homes. Latest figures indicate that more than 1.8 million people are in need, and nearly 240,000 houses were affected, half of those partially destroyed, and the other half totally destroyed. The sun is shining in Beira, making it hard to imagine the sustained 180–220km per hour winds and intense rain that pummelled the area one month ago, but a drive through the city reveals extensive damage to homes and infrastructure – with trees still leaning into buildings, dents in industrial storage drums, and damage to roadways, especially in seaside areas. The city hosts 17 of the 59 temporary accommodation sites located across the four affected districts, which shelter over 71,000 people (nearly 16,000 households), as identified by IOM Displacement Tracking Matrix. 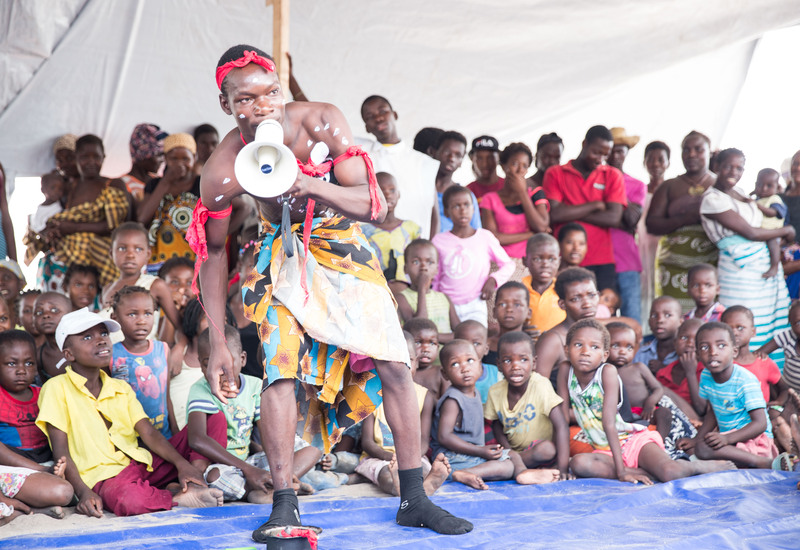 IOM is supporting the Government of Mozambique, as the co-lead of the Shelter Cluster. IOM is coordinating with more than 20 partners for the storing, handling, transportation and distribution of shelter kits, plastic sheeting as well as non-food item (NFI) kits, with the support of the Logistics Cluster, Beira Airport and Disaster Management Agency in order to improve conditions in homes, schools and health centres. With implementing partners supporting the shelter response in the four affected provinces with more than 25 locations, IOM has via its implementing partners provided shelter support to more than 21,000 households and has distributed more than 25,000 tarpaulins and 10,000 NFI kits (such as kitchen sets, blankets, solar lanterns). Temporary accommodation sites have been set up, but are seen as a measure of last resort, when it is not yet possible for families to return to their homes. Where necessary IOM is supporting the National Institute of Disaster Management (INGC) in setting up new sites to bring internally displaced persons (IDPs) out of schools into new sites. In order to improve sites, IOM and humanitarian partners have in the past week installed additional latrines, showers, and set up child friendly spaces and communal shade and kitchen spaces. IOM is working together with the Government social services to establish protection centres in four temporary accommodation sites in Beira. IOM is supporting the Government in providing training for local staff and raising awareness about available referral pathways for vulnerable cases, such as victims of gender-based violence. IOM Regional Director for Southern Africa, Charles Kwenin and IOM Director of Emergency Operations, Mohammed Abdiker both recently came to Beira to review challenges and progress of the Cyclone Idai response effort. They each visited accommodation centres and affected communities and met humanitarian partners.